Ryan Page has joined Intracoastal Bank as a relationship manager. PALM COAST, Fla. - Jan. 16, 2017 - PRLog -- Bruce Page, President and Chief Executive Officer, today announced the addition of Ryan Page to the Intracoastal Bank team as Vice President/Business Relationship Manager for the Bank. In this capacity he will be responsible for developing and servicing business banking relationships. Ryan Page began his banking career in 2011 as an intern with Intracoastal supporting the Banks' customer service efforts. He joined BBVA Compass in 2013 in their Leadership Development Program where he completed extensive training on all primary bank functions with a focus on commercial lending and underwriting. 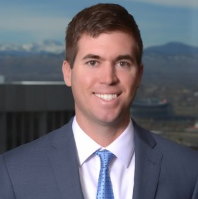 After completing the program, he was an Associate Relationship Manager in the Denver commercial banking group. He graduated from the University of Florida with a Bachelor's Degree in Business Finance and a Master's Degree in International Business. Ryan Page is a Florida native and a third generation Volusia/ Flagler resident. He attended Flagler Palm Coast High School and graduated from the University of Florida with a Bachelor's Degree in Business and a Master's Degree in International Business. He has a passion for volunteering with a focus on education and small business. He served on BBVA's volunteer board and a nonprofit junior board while in Denver and looks forward to continuing this work in Volusia/ Flagler County. Ryan Page said, "After working for a large Multinational Bank, I am excited for the opportunity to come back to my hometown and work for a locally based financial institution that is committed to helping the community and its clients succeed." Rick Wells, Senior Lender for the Bank stated, "We are excited about Ryan Page joining our team. As a longtime resident of this area, and with his experience in banking, he will add value to our team and community. Intracoastal Bank is fortunate to add such a highly talented financial services professional with a proven track record of success. He will play an important role in the Bank fulfilling our commitment to provide the highest quality personal service and customer experience in our market." Intracoastal Bank is a locally owned and operated financial institution. Intracoastal Bank's Flagler County banking center is located at 1290 Palm Coast Parkway, NW, Palm Coast, Florida 32137. The Bank's Volusia County Banking Center is located at 2140 LPGA Blvd., Daytona Beach, FL 32117. The Bank serves the Northeast and East Central Florida area. The bank offers a full range of deposit and loan products tailored to meet the needs of individuals and businesses in the community with convenient access through 24-hour ATMs, the internet and mobile banking. The bank is a state charted commercial bank, member FDIC.